Are you planning on running an Instagram contest to engage your community and promote your brand? Then you’re in the right place! Contests on Instagram are smart ways to build relationships with your passionate fans and drive user-generated content that will highlight your brand in an authentic way. Instagram contests require thoughtful planning in the beginning, thorough management throughout and detailed analysis at the conclusion to achieve the success you’re looking for. 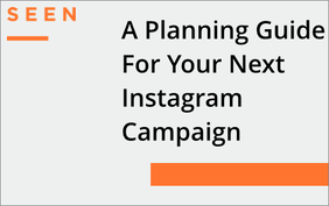 To help you execute on each of those phases we’ve outlined everything you need to know on how to run an Instagram contest. With every contest, we encourage thoughtful planning of the goals and learning objectives at the beginning of the planning process to not make this contest not ‘just another promotion’. 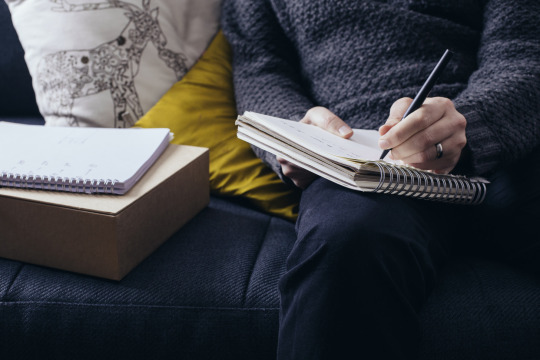 Thinking through the details of how you’ll tie this back to your larger marketing initiatives and how you will learn from your community’s content can make a huge difference with the success of your contest. When running an Instagram contest, the hashtag is often the most critical factor in determining your community’s participation and the overall success of your campaign. Do your research on the tag to see how much sharing is occurring around that hashtag. If you’re creating a unique hashtag you want to make sure that it is in fact a unique tag. When you’re creating a tag for your campaign consider the purpose of the hashtag and whether you should create a contest-specific hashtag or use the contest as a launching platform for a long-term general hashtag. Every contest needs some form of promotion to get the word out and encourage participation. Each contest is different so it’s important to iron out the unique promotional opportunities that are possible for it. To grow awareness and participation with the contest you’ll need to consider how the contest will be promoted. Sharing details of it from your own social accounts is a must but consider other opportunities to get people involved with your contest. We recommend influencers as one of the best ways to grow awareness for your Instagram contest with some authentic and promotion. Tapping visual influencers can spread the word about your campaign through targeted content creators. When running an Instagram contest, the best practice is to build a two-way conversation with your participants. This 1:1 engagement will increase your promotion by strengthening your relationship with the individuals in your community. And validating their participation will then lead to ongoing participation in your current and future campaigns. Determining how to accomplish this is often a challenge because the Instagram app doesn’t allow for multiple accounts or a quick, easy way to interact with your audience. To be able to accurately and efficiently report on the results of your efforts, you must track the contest performance against the goals you determined when analyzing the opportunity. The ability to stay on top of this with regular reporting and tracking of the metrics is vital. There are a lot of different ways to measure the success of Instagram contests so you need to have an understanding of the important metrics that you should be measuring that translate to a successful Instagram contest. Your contest reporting should also serve the purpose of teaching you about your community to help support your overall social media marketing initiatives. You need know who the most active members in your community are, what content they’re all sharing, and understand what content resonates with them. This learning can guide the creation of your content strategy that will help you grow your following on Instagram.